Children start learning long before their first day of kindergarten. From the time they are born, children are learning from their parents, family members, and other loved ones. 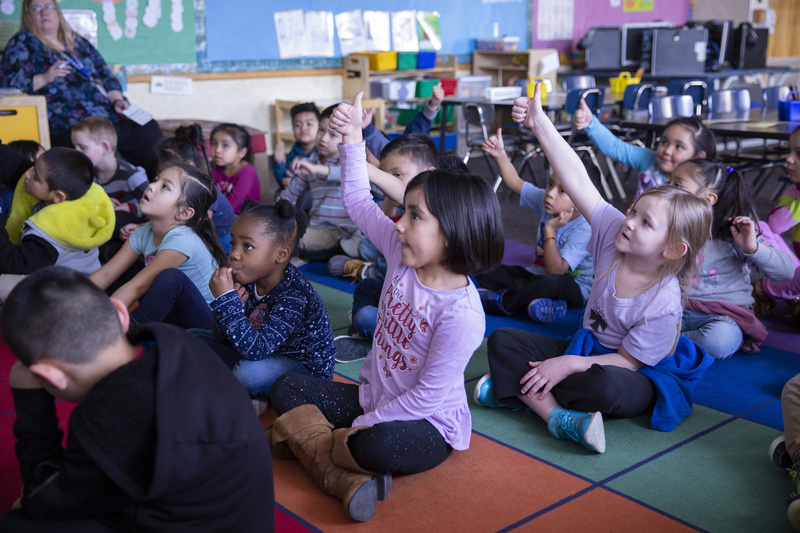 Ensuring that all kids are academically and developmentally on track when starting school is an important component of United Way’s early education work. And parents are the key to its success. 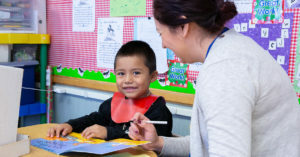 UWSL’s grassroots engagement team has knocked on doors, hosted community dinners, and visited community centers in South Salt Lake to spread the word about the Ages and Stages Questionnaire — a parent-administered assessment that can help gauge their child’s development from infancy to about five years old. The ASQ examines everything from a child’s fine and gross motor skills, to communication and problem solving. The results not only track a child’s development, but also identify delays and disorders well before a child starts school. Despite childcare professionals, pediatricians, and other early education providers using its results in their work, the ASQ isn’t introduced to parents with much regularity. 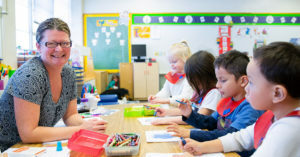 Amy Ahrens Terpstra, UWSL’s vice president of collective impact partnerships, said United Way is working on strategies with such providers, especially those working with low-income families, to introduce the ASQ to parents early on. Why should parents screen their children? To understand what milestones your children can and should be reaching as they grow. To be able to better identify your children’s strengths. To give you ways to talk to your doctor or other professionals about your concerns with your children. To track your children’s progress over time – a simple way to “journal” their milestone achievement. To give you new ideas to use in play with your children and make this time more useful in their development. Introducing parents to the ASQ is a touch point for the grassroots team to become more recognizable within the South Salt Lake community and is helping the team build parent engagement and leadership from within. And again, United Way of Salt Lake’s grassroots interns — all of who grew up and still live in South Salt Lake — made the difference, said Limansky. To learn more about the Ages and Stages Questionnaire, or take it with your children, visit Help Me Grow Utah. To learn more about United Way of Salt Lake’s grassroots engagement efforts, please visit Uw.org.